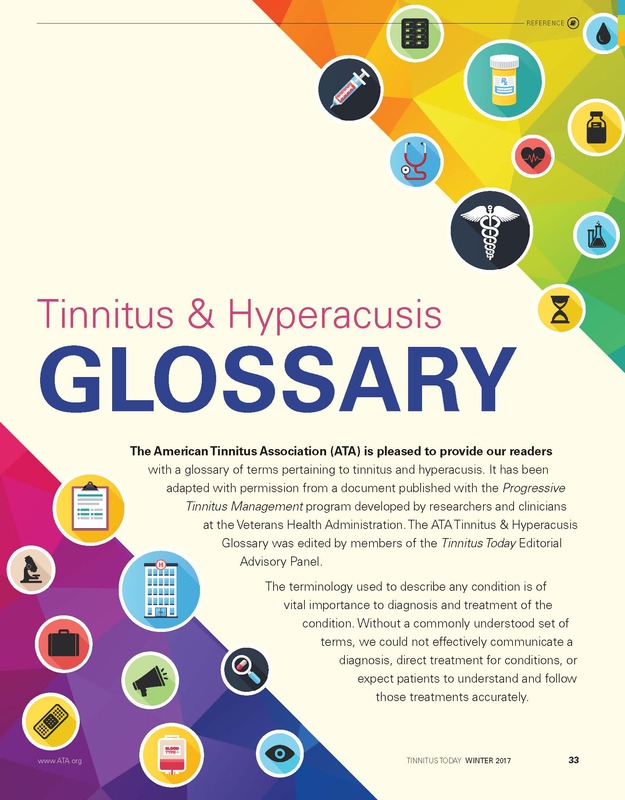 The American Tinnitus Association (ATA) is pleased to provide our website visitors with a glossary of terms pertaining to tinnitus and hyperacusis. 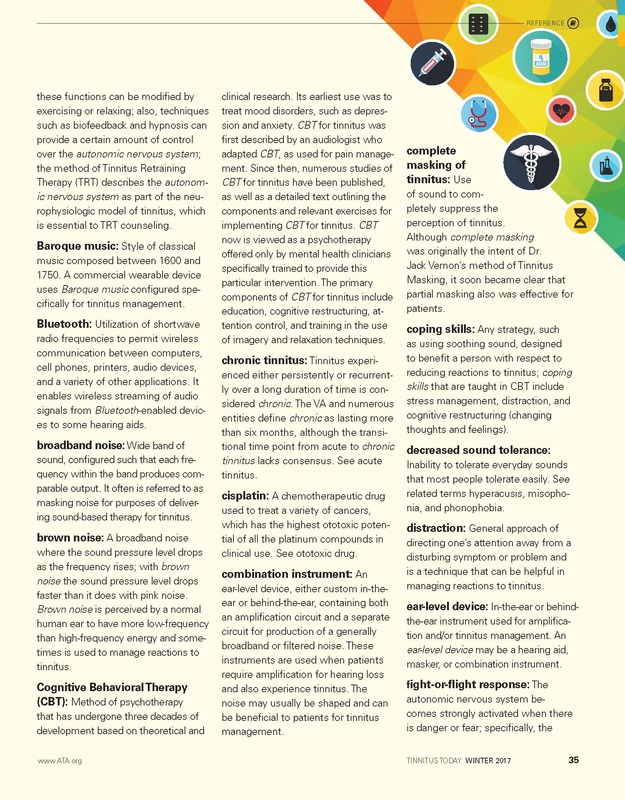 It has been adapted with permission from a document published with the Progressive Tinnitus Management program developed by researchers and clinicians at the Veterans Health Administration. 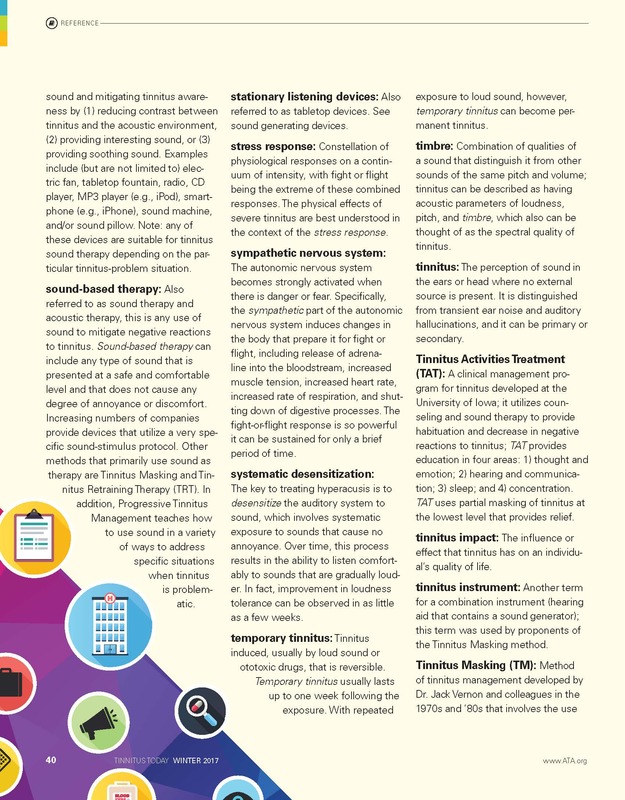 The ATA Tinnitus & Hyperacusis Glossary was edited by members of the Tinnitus Today Editorial Advisory Panel. 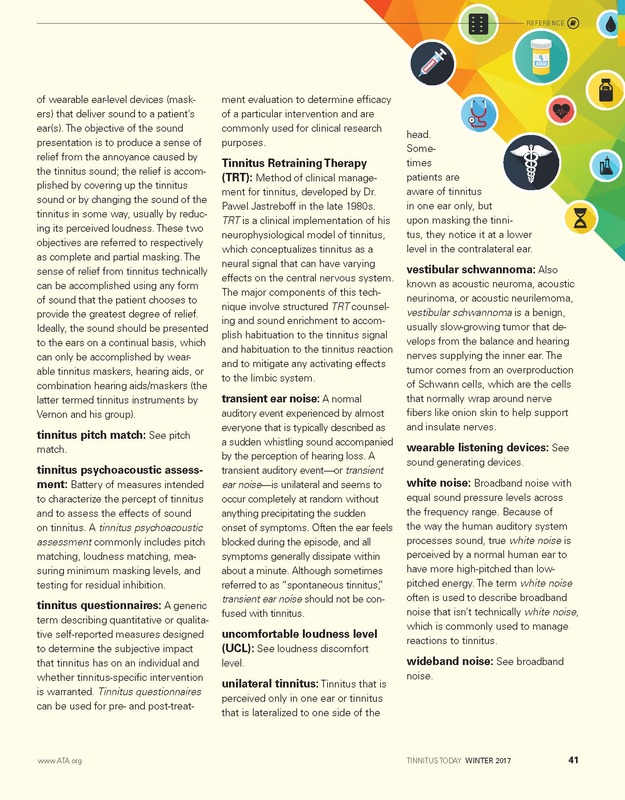 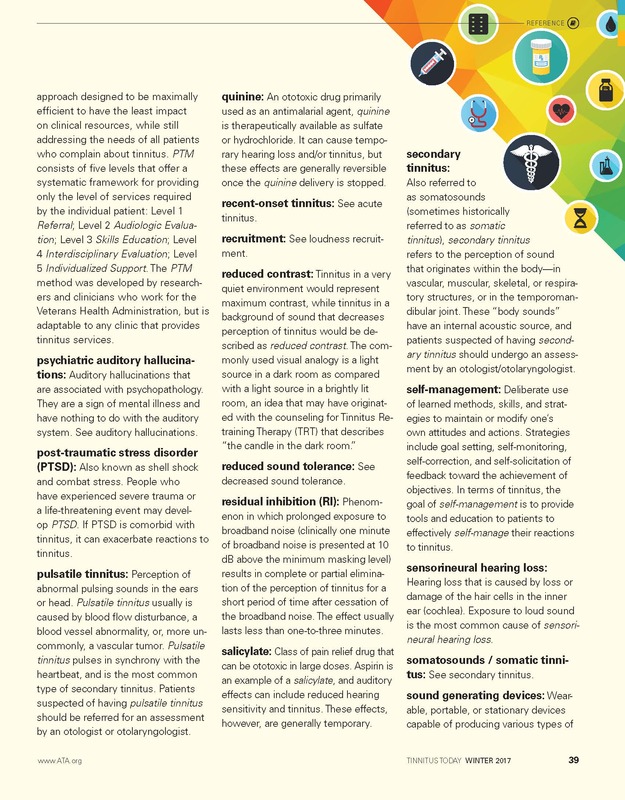 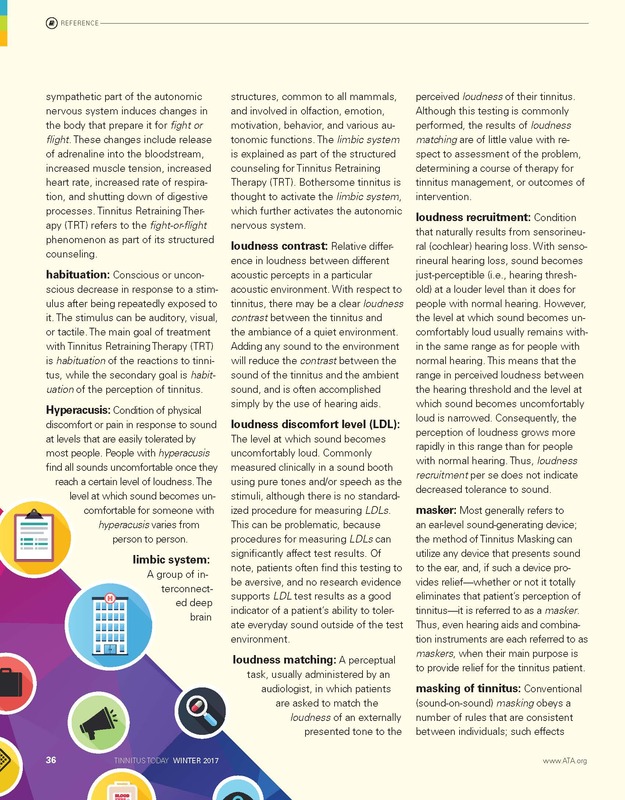 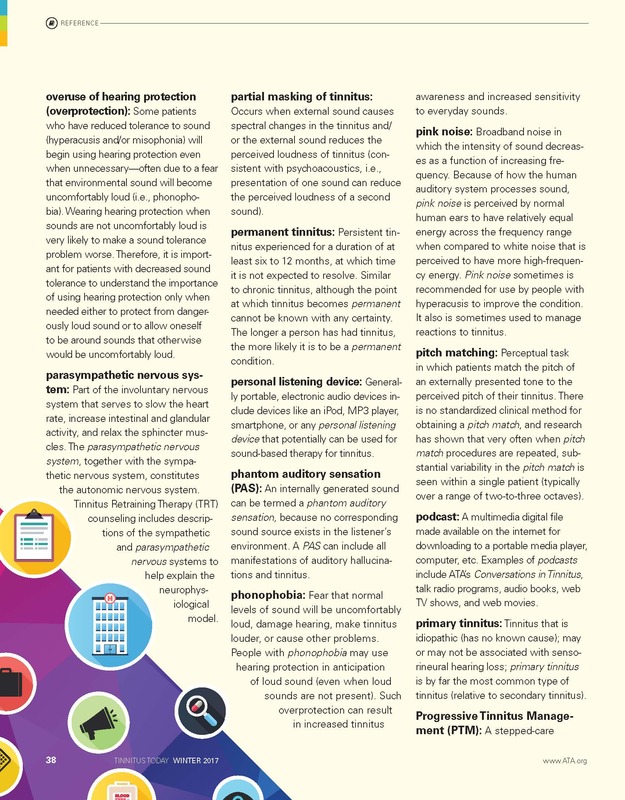 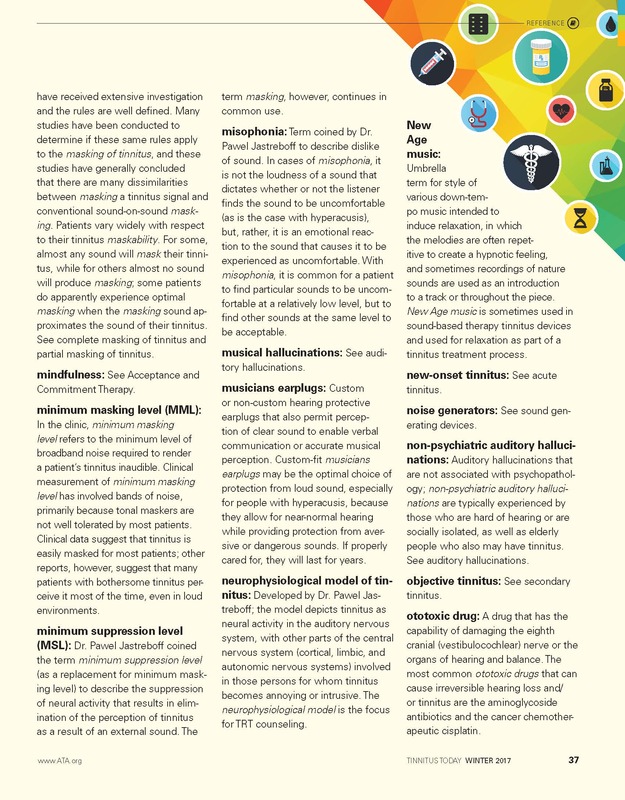 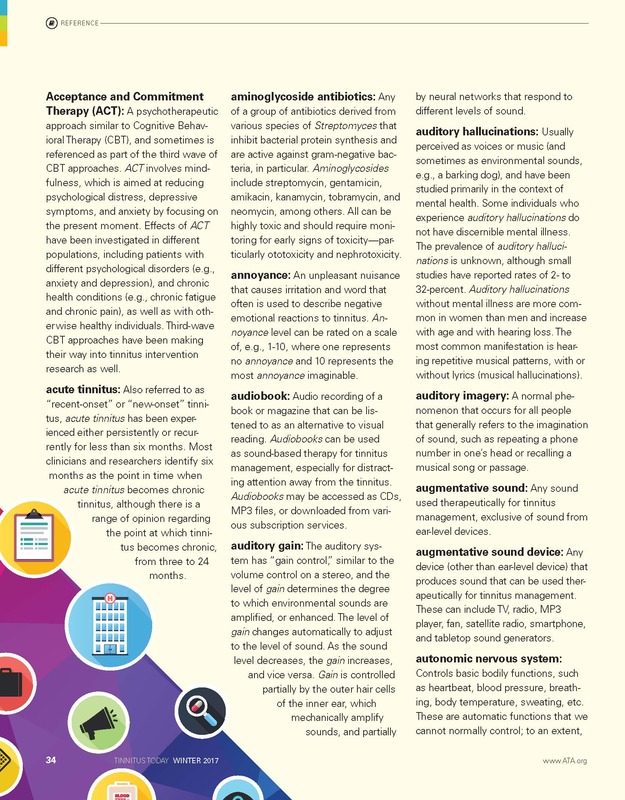 Click here to view the Tinnitus and Hyperacusis Glossary as a single PDF.